You’d be surprised at how many professional singers smoke cigars! This is not good for a regular person’s vocal cords, much less a professional singer’s, either. Basically, tobacco smoke irritates and dries the vocal cords. This causes them to swell up so they can’t work properly. If you consider yourself a singer, and you don’t want a hoarse/raspy voice, then avoid smoking. Some performers try to get around that fact by using electronic cigarettes. However, “vaping” can also cause issues for singers. 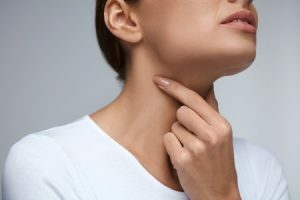 One of the most common side effects of vaping is a sore or dry throat, which adversely affects your voice and prevents you from performing your best. What are some other tips for avoiding voice issues when singing? Just like you’d warm up a car on a cold day before driving it, you should warm up your singing voice before a concert. You can spend 10 to 20 minutes “warming up,” which helps “stretch” your voice in a good way, getting it prepared for a long concert. If you’ve never done vocal exercises or even considered warming up your singing voice, Sing Like A Star can help you with that. What else? Avoid drinking milk, tea or soda (pop) before singing. Oh, and don’t drink ice cold water. Even avoid coughing beforehand, too. All of these things mess with your vocal cords. For instance, a cough makes your vocal folds squeeze/rub together harshly– not good. Ice cold water? That increases muscle tension, which is something you don’t want… water at room temperature, perhaps with some honey or lemon, is perhaps the best drink you can have before singing. Now this should go without saying, but you’d be surprised at how many singers yell and/or talk a lot before their “big moment in the spotlight.” This strains the vocal folds and leads to having a hoarse voice. After a show is the right time to meet-and-greet fans who want to chit-chat. And, in general, singers should avoid yelling at all times, every day of their lives. Sing Like A Star offers voice lessons and coaching with the intent that students will learn the correct ways of singing and performing… ideally, voices shouldn’t have to strain. Voices shouldn’t have to become hoarse or raspy. There are techniques to learn; a voice is an instrument. Through training, a singer learns to use their vocal instrument in the best ways possible. For more information, please visit Sing Like A Star’s contact page.